Sign up for a free membership and receive access to exclusive content we prepared just for you! Daily tips, techniques and advice on how to live the artist lifestyle. Become an artist and help make the world a more beautiful place. 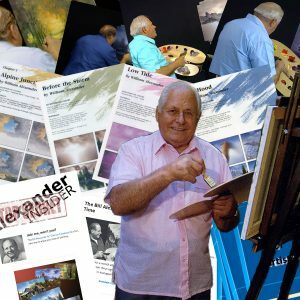 Master the techniques of the Alexander method so you can create beautiful paintings in less time than you ever thought possible even if you’ve never picked up a paintbrush in your life. Find your inner artist and turn loose your creative power. Learn how you can turn your passion for art into a profitable career. Want even more Bill? Try our Premium Membership!